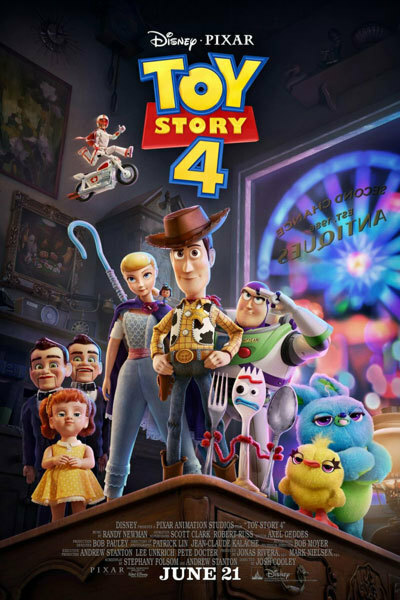 Toy Story 4 continues the story where Toy Story 3 left off, with Sheriff Woody (Tom Hanks), Buzz Lightyear (Tim Allen) and friends finding a new lease of life in their new home with Bonnie. They soon embark on a road trip adventure alongside old, and new friends, including Forky (a spork made into a toy). Annie Potts and Joan Cusack return as Bo Peep and Jessie while new characters are voiced by Tony Hale, Keegan-Michael Key, Jordan Peele and Keanu Reeves. TICKETS NOT YET ON SALE - PLEASE CHECK BACK SOON!